I recently tested TeenSafe to see how it compared to similar cell phone monitoring options on the market today. 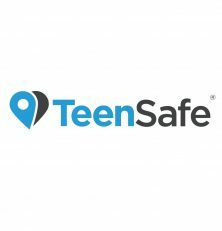 With well over a million users in the Unites States already, and growing popularity abroad; TeenSafe is often one of the first apps of its kind which parents come across when searching the web. While it’s popularity cannot be denied, does that necessarily mean it’s as good as alternative options? Price wise, it’s much cheaper than a lot of competitors. So the only question is, how well does it work? It worth noting before we get started that TeenSafe’s service is expressly limited to minors under the age of 18. Furthermore, it is not supported in the states of Iowa or Vermont. If you fit either of those criteria, we recommend you take a look at the other options in our top 10 list. TeenSafe’s main claim to fame is its ease of use. What this means for you is a sleek, intuitive interface and easy to understand options. More importantly though, TeenSafe doesn’t require your device, be it iPhone or Android, to be Jailbroken or Rooted. This can often be a main sticking point for customers as either can be an intimidating prospect for those who aren’t as knowledgeable with technology. (Confused about Jailbreaking and Rooting? Check out these guides for more info.) Furthermore, these processes can void your warranty, adding another layer of hesitation for anyone who was thinking of taking the plunge. TeenSafe, on the other hand, can be installed relatively quickly, without voiding your warranty, or having to be particularly tech savvy. Parents of large families will also be delighted to know that your TeenSafe account includes a license for as many devices as you like. That means you can protect the whole family for one low price, whether we’re talking about an only child or a battalion of siblings. Ok, so we get that it’s easy to use, but is it worth it? And how feature rich can it really be without having the extra permissions afforded by jailbreaking or rooting? The answer is it’s pretty underwhelming… It does manage to pack in many of the essential features like call logs, and web browsing history in addition to SMS monitoring. SMS can be tracked whether messages are sent, received, or deleted; including via Apple’s popular iMessage service. Finally, you’re able to ping the device to find out its current GPS location, which could turn out to be a life saving feature if, God forbid, you’d ever need to use it. However, whether or not all these features work for you depends on numerous variables. For example, on iPhones and iPads, you must not only have your child’s iCloud username and password, but the phone must have some prerequisite settings turned on. For the GPS tracking to work, both ‘Location Services’ and ‘Find My Phone’ need to be turned on at all times. If your child for any reason decides to turn either one off, it will disable your ability to track the phone’s location; instead, you will only get it’s last backed up location. Also, MMS (Image / Video) messages are not able to show you the actual media in question. What this means is that if you ever intercept an MMS message, you will receive all the same meta data you’d get along with an sms message like recipient, time, etc; but you won’t be able to view the actual video or image. It will however inform you that some form of media was sent. While it’s better than nothing, it does nothing to let you know whether your child is sexting some stranger or just sending their friend a cat picture. Another major annoyance is the fact that the device needs a WiFi signal to transmit data which means no real time tracking. The data will eventually be uploaded as soon as a connection is re-established but it may no longer be useful by that point. That’s not even the worst of it as TeenSafe’s site is full of misleading claims and flat out false advertising. 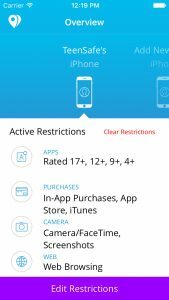 While they advertise a feature with the ability to “Lock” your child’s phone, disabling all features except the calling capabilities, and blocking individual apps; unfortunately, this has many more limitations than they would have you believe. 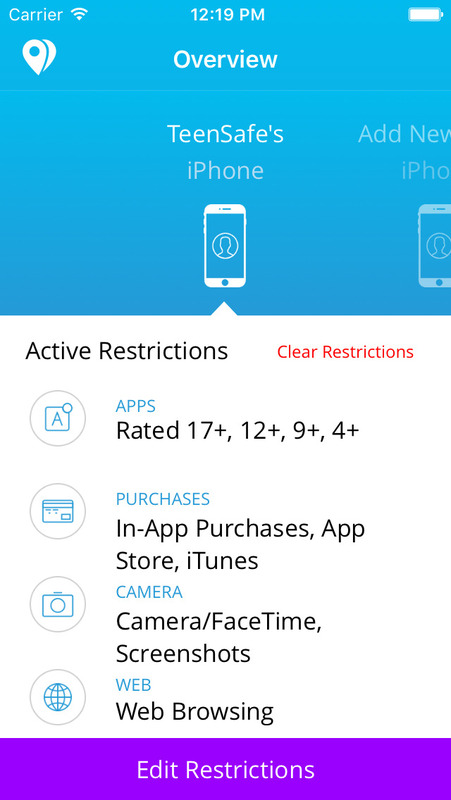 In reality, you’re only able to block apps according to age rating, something you’re already able to do in the iPhone parental control features. It’s unfortunate as this is an attractive feature which is advertised as something that can make for distraction free driving and ensure children are respecting homework time, or other obligations. Even more disappointing is their widely advertised social media support which is supposed to be top notch. Instead, we find that to use the features, we will need our children’s social media passwords… If you had that you could just log on to their social media without any need of a 3rd party application. But that dirty little secret is that even with those passwords, TeenSafe won’t be able to provide any social media monitoring. Of course, you only find that out once you’ve already given them your payment info and find yourself within your TeenSafe account. Tucked away within the troubleshooting guides are two discrete messages indicating that TeenSafe is no longer able to support Facebook or Instagram due to changes in their respective policies. SnapChat, one of today’s most popular social media platforms is also not supported. Finally, we come to WhatsApp and Kik, which is only available on iPhone but is able able to pull all sent, received, or even deleted images from either of those extremely popular messaging alternatives renowned for their encryption. SMS / iMessage monitoring including sent, received, and deleted messages. Full Call Logs which will include meta data such as date, time, phone number, contact name (if available), and call duration. Requires you to know all of your child’s passwords ahead of time. Doesn’t show MMS messages. 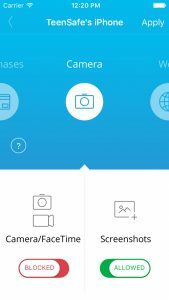 ie: if a picture message is sent you will have the time and date of the message along with the recipient but won’t see the image. TeenSafe is compatible with both iPhone and Android although the way they work is slightly different. On iPhone, TeenSafe is able to monitor your child’s device by exploiting the Apple iCloud backup service. This means it will take a little bit of set up on your part as you’ll be required to not only make sure iCloud Backup is enabled on the target device, but you’ll also need the Apple ID and Apple Password for the device in question. If you’ve set this up for your child then you’ll have no problem but if these are unknown to you, you’ll find that your child may be reluctant to give them up. To ensure iCloud backup is on, you will need to navigate to the device’s settings menu. Once there, you will notice a heading for “iCloud”, click that to enter the iCloud settings menu. On the following screen, simply ensure that all of the options are set to “On”. Once you’ve entered the Apple account username and password into TeenSafe it will intercept everything being backed up to iCloud, you’ll never need to touch the device again. 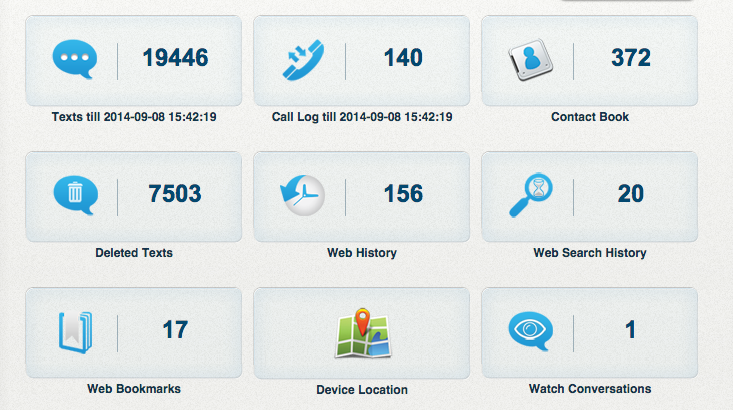 From there, you’ll be able to check everything through your TeenSafe dashboard. Things work a little bit differently for Android but the initial set up will still require that you physically posses the device and install the Teen Safe app to their device, then log in with your account. Even though rooting is not required, you need to follow a few steps in order to successfully install the TeenSafe app. First of all, you will need to allow installation from “Unknown Sources”; it may sounds scary, but it just means that you’ll be installing the app outside of the Google Play Store. There are easy to follow guides in the troubleshooting section once you’ve entered your account which explains all the steps one by one. It will require have the device for a few minutes, and you need to be able to unlock the Android device in order to start. Once that’s done GPS tracking also requires the phone’s GPS to be turned on at all times. 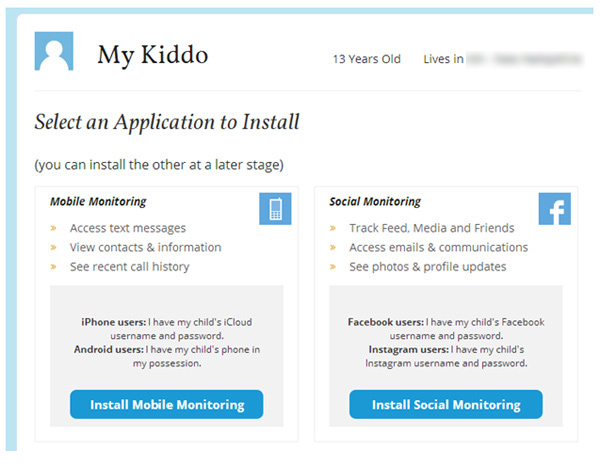 Obviously, we would hope you’re being up front with your children about the monitoring but if discretion is key, this can be done relatively easily under the guise of needing to do a quick google search or the like on their phone. 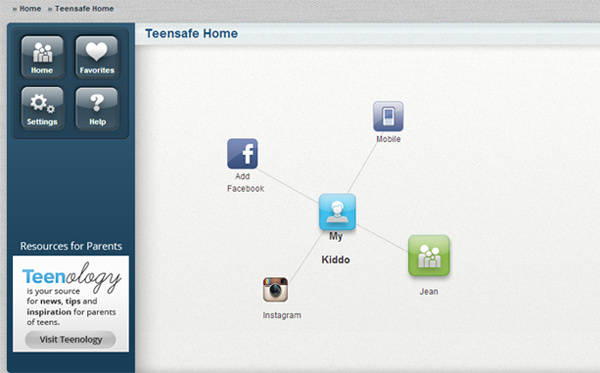 Once installed, the TeenSafe is very discrete, leaving no sign of itself in the app list. From this point forward you’re free to check everything through your Teen Safe dashboard, just as with the iPhone version. One final note on the Android app, don’t be discouraged by the negative reviews on The Google Play App store. A quick glance through the reviews will show you that all of the negative reviews are actually being left by the children who are being monitored, not their parents! While the morality of spying on your children is certainly debateable, many parents feel that small sacrifices in personal privacy are well worth the trade off of added security. This is the part where we have to give you the necessary disclaimer that it is unlawful to monitor any devices which are not in your name, or anyone who is not a minor. How stealthy this product can be is highly dependant on two variables; which of the two operating systems (iOS or Android) you are dealing with, and whether or not you know the relevant passwords to your child’s account. Assuming you already know all of your child’s passwords (Apple ID + Apple Password , Android Device Unlock Code) then each of these are relatively painless to set up. In fact, if your child already has iCloud Backup enabled you could start monitoring without ever touching their device! In this case, it’s most likely the iPhone version that is most stealthy as you can literally start monitoring remotely without anyone being the wiser. If however, you’re going into this process blind, you may find that it’s no easy task to get your children to hand over their paswords. In this case it may be easier to set up tracking on an Android device where you’ll only need access to their device for a few short minutes. This can easily be accomplished by asking to make a phone call, check something on the internet, or any other number of benign request that will allow you to have access to the device for a couple of minutes. Once you’ve gotten past the initial installation phase, this app is as stealthy as they come. It shows no visible signs that any tracking is going on, the app is hidden from all app lists, and will never display any kind of notifications or alerts. Support is one area where we found TeenSafe to be lacking. The troubleshooting guides appear convenient at first glance, following a simple step by step formula; but many of them quickly become hard to follow as they include useless, obvious information which slows you down and makes the guides much longer than they need to be. Furthermore, some of the processes can be down right confusing! I was currently reviewing their newest “Supervisor” mode, which isn’t mentioned anywhere on the site, and the guide featured over 30 steps on how to get it working! Steps included connecting the device to a computer via USB, e-mailing myself links, signing in on the device, signing in on the computer and many more. It seemed cumbersome even for me, and I consider myself pretty tech savvy. One nice thing is that they’re relatively easy to reach by phone with a toll free number where you can speak to a real person 7 days a week. Their operating hours are Mon-Fri from 6am to 7 pm Pacific or from 7am to 6pm on the weekends. While not 24 hour service, there are plenty of blocks so you can find the time to call at your convenience and enjoy short wait times. We found support staff to be friendly, knowledgeable, and helpful. Or one knock with support staff came when we tried to get a response through the e-mail channel which took a little over 3 days before we got a reply. Finally, cancellation is a breeze if you do decide this service it’s not for you. In fact, when we first called to cancel our trial they even extended our free trial by a further 3 days to entice us to stay. In the end the support staff was helpful, albeit disappointed that we were leaving and allowed us to cancel hassle free. 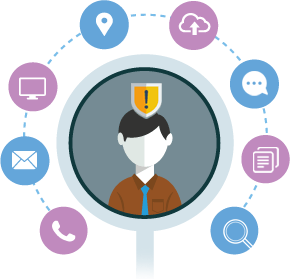 While other products try to confuse you with multiple service tiers, and clever marketing; TeenSafe comes with the added benefit of an easy to understand, no frills, single price point of $14.95 per month. That price includes monitoring for any number of iPhones, iPads, Androids, or any combination thereof. Essentially, you can monitor your entire family, no matter how large, for slightly more than the cost of a Netflix subscription; whereas other comparable service can run as high as $80 per month, per device! Furthermore, TeenSafe also offers a trial which gives you the first week totally free of charge. With that said, there isn’t much value gained for those 15 dollars per month. Many of the advertised features have been removed, or are just flat our missing. 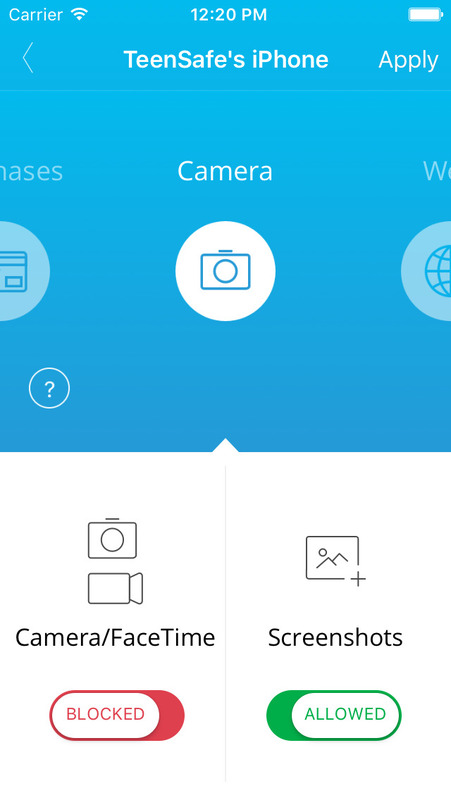 The feature list can vary wildly between devices. And the features that are included can be underwhelming. TeenSafe claims to be one of the best options out there; our experience says otherwise. What we found is a product that was continuously disappointing us around every corner. From false advertising, to complicated tutorials, to requiring multiple passwords ahead of time, I certainly felt that this product is lacking when compared to it’s competitors. I also thought that the website was very deceptive, hiding a lot of information until you’ve reached account page; information you’re only able to see once you’ve already given them your payment info. Overall, this would certainly not be my first choice for my own children.